As Europe’s senior communications professionals scan the horizon for clues about the future of their role, their top concerns are how to ensure consistency of message across the organisation and how to cut through the information overload to be heard. Many communicators believe the answer lies in consolidation of communications functions to ensure alignment and impact. 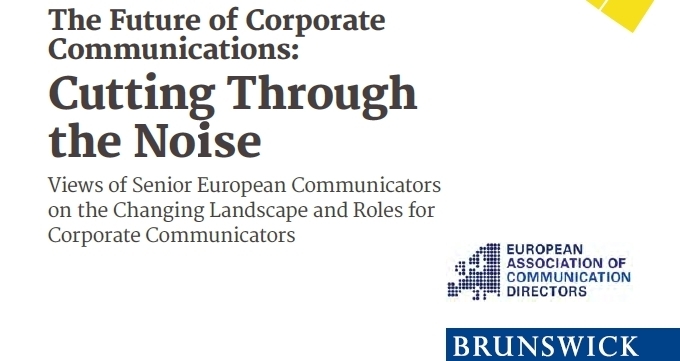 In order to capture what is top of mind in the shifting European communications arena, Brunswick and the European Association of Communications Directors (EACD) have partnered on a unique piece of research that included EACD members and other senior communicators across Europe. To highlight key results Brunswick has created an infographic which can be downloaded here. The full report is available here.